Top exotic destinations you can afford! Too many people thing that they can not afford to travel especially to exotic destinations. We are running our blog Flynous.com to proove that they are wrong. In this article we are focusing to bring you our own list of top exotic destinations you can afford to spend some great time in there. Countries or places, that are definitely worth to visit but without ruining your pocket! Do you thing that once you become parent you can not travel at all? Check our our article giving you some tips for flying with a baby. We post plenty of opportunities to save in the air. but there are still some easy steps to save great money when on the ground. Check our latest post about airlines offering free hotel (in transit) during layover! Hereby we bring you our own..
Indonesian isle Bali is the most friendly island for most of the travelers targeting to visit Indonesia. 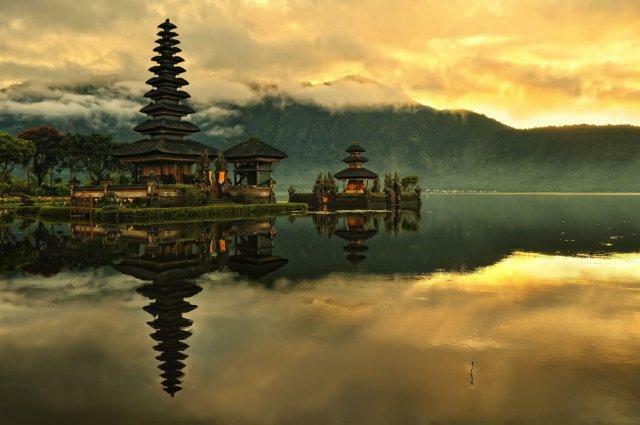 Bali may be small in size but not in stature, despite not being the cheapest place to fly in. If you are a bit modest you may always fly to Jakarta for a reasonable rate ex most of European cities and then use low-cost carriers such as Air Asia on connection between Jakarta and Bali (Densapar). Flights are offenly available for just €50 for roundtrip including all taxes. In case of running promotion you may cut this even to half. (or you may also consider to book open-jaw flights lets say to Jakarta and with departure from Densapar Bali. Once you are there all the amenities can be purchased at very reasonable prices. Don’t worry, big hotels are available for those who need pampering, but for budget travelers that require less your dollar can go a long way in Bali. It could also be possibly the best value on the planet, with cheap hotels going for €5 a night, often right beside great snorkeling spots. Bali is the most developed island, but even there you can find plenty of deals. On Java, Sumatra, and Sulawesi, however, it’s easy to branch out like an intrepid explorer or get pampered on the cheap in the most popular spots. If you have already decided which cheap exotic destination will be on your target you might be also interested in best tips how to book cheap flights and air tickets there! Costa Rica means rich coast in Spanish and it absolutely fulfill its name. If cheap exotic holidays mean ocean and rain forest so close to each other in the same country that you can literally feel as if you are in another world in the same day, then you should visit Costa Rica. Not only does Costa Rica allow you to do that, you can literally walk from a gorgeous beach where you might not see another person all day, to forest where you will be surrounded by monkeys and sloths. 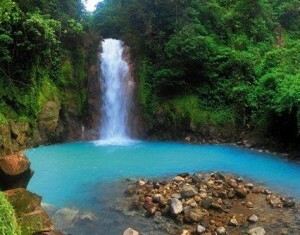 Costa Rica has to be the ecotourism capital of the world and luckily for budget travelers, prices are still reasonable. A bus ride across the country costs less than $5 and there are many hostels for around $10 per night. Tourism is huge though and there are plenty of resorts and tourists traps but you can still easily get by spending $3 for dinner eating with the locals at restaurant. Costa Rica is also home to a rich variety of plants and animals. While the country has only about 0.1% of the world’s landmass, it contains 5% of the biodiversity. If you are looking for some general tips how to save your money when purchasing your air ticket you may also check out our next article. And when to visit Costa Rica? Costa Rica’s seasons are defined by how much rain falls during a particular period. The year can be split into two periods, the dry season known to the residents as summer, and the rainy season, known locally as winter. The “summer” or dry season goes from December to April, and “winter” or rainy season goes from May to November, which almost coincides with the Atlantic hurricane season, and during this time, it rains constantly in some regions. Before you decide to book your ticket, check out also our another article about things that Airlines will not tell you. 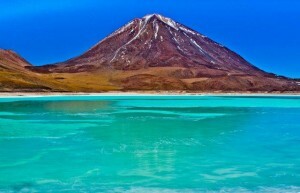 Bolivia is landlocked country located in South America. Diverse in geography and population, Bolivia is one of the most remote countries in the world, where traditions and beliefs date back to the days of the Inca kings. It’s a little rough around the edges; simply navigating around can be a challenge, and it’s not for the faint of heart. 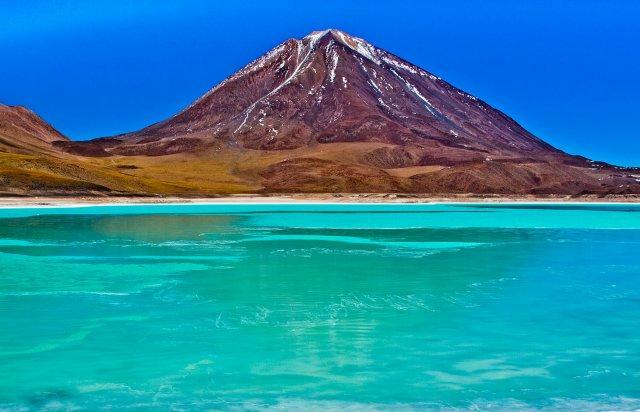 But as your reward, you’ll experience views and landscapes unlike anything you’ve seen before, from sparkling lakes to volcanoes, geysers, and of course, the famous salt desert – to say nothing of the thousands of wildlife species that Bolivia is home to. Lake Titicaca, the world’s largest high-altitude lake has to be seen to appreciate the vast expanse of 8400 square kilometers of water. With ancient ruins and traditional villages dotted around the lakeside, the landscape is Mediterranean in feel but quintessentially Bolivian. Discover rarely-visited Inca ruins around the lakeside town of Copacobana, take a boat out to the Isla del Sol or explore the surrounding lakeside villages to gain a greater understanding of Bolivia’s stunning culture and history. Another issue is that these are mostly remote countries that might be cheap but the flight tickets are usually very expensive. But, if you are patient enough there appears time by time some amazingly cheap error fare flight that may help you to become your dream to be reality! You will also find great bargains for a food and you will find momo (Nepali Dumpling Specialties) is really addictive! For instance we paid less than €2 for main course for two including drink of our choice (coca-cola etc.) at some local restaurant in Thamel (main backpacker area in Kathmandu) while we were travelling in Nepal back in 2013. Odds are you will want to do some trekking which is a must while you are in Nepal. The great thing in Nepal is that you may go to the mountains even without porter or local guide. Since Sherpa people are living in villages you are passing through you will hardly get lost if you are going to do some classic trek routes. Also, once you will get trekking permits which price may vary depends on the location, you will not spend that much even during your trek. For instance, we spent just approximately €20 per person/day in Sagarmatha National Park in Khumbu Region (Everest area). This includes three main courses, room bed in many guesthouses you will pass on your way and water. One tip: take some energy bars with you, they are pretty expensive once you are there..
Do not forget that some good outdoor equipment can be bought there especially in Kathmandu if you need to improve your gear there. 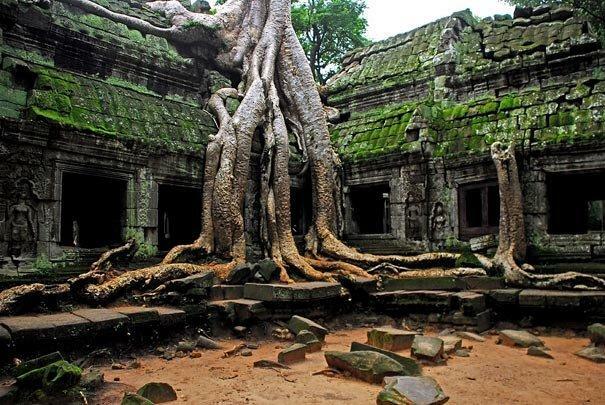 So are you eager to visit some of these exotic but cheap destinations? But even thought our list contains cheap destinations you have to firstly find a way how to reach these exotic places. In such case you should read our next article focusing on best tips how to book cheap flights and air tickets. Another way to book the cheapest flights from your homecity is using service of Google Flights. Cheap return flights from Rome to Bangkok, Thailand from €364! Last-minute return flights from Brussels to Azores from €116! Return flights from Amsterdam to Nepal from €417! Cheap non-stop flights from Paris to Havana, Cuba from €324! Cheap non-stop flights from Paris to Saint Martin from €295 return!